The reception at the State House organised by the Presidential couple sealed the festivities of the day. There couldn't have been a better way to end a day full of symbol and a translation of the country's unity, like the historic May 20, the country's national day. And so, all roads led to the Unity Palace, the people's palace on the invitation of President Paul Biya and wife, Chantal. What a ceremony pregnant with meaning? Guests invited to share the joy of unity defied the late afternoon heavy rain and streamed into the State House. It was a ceremony full of ambiance, before, during and after. Everything happened in strict respect of the programme. The gates of the Unity Palace were flung open at exactly 4 PM. Organised at the Banquet Hall of the State House and at the palace garden, the reception was occasion for guests to share their happiness, eat and drink together and above all commune with the Presidential couple. 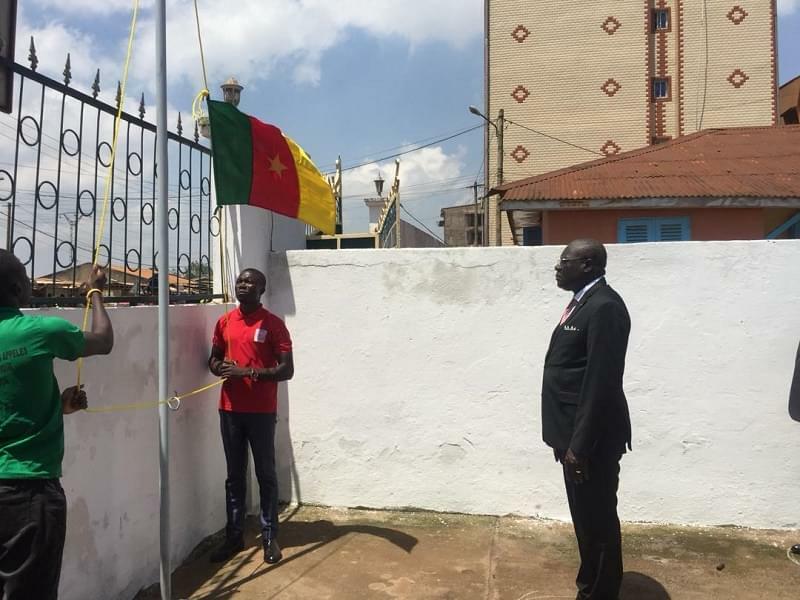 Conspicuously present at the ceremony were two of President Biya's Special guests, Philippe Ouandie and Daniel Ruben Um Nyobe, children of Ernest Ouandie and Ruben Um Nyobe respectively whose parents led the struggle for independence of Cameroon in the 1950s. The peculiarity of this year's reception was equally the first participation of the Constitutional Council, one of the newest institutions of the country. It was therefore an honour for its President, Clement Atangana to take part in the banquet in that capacity. 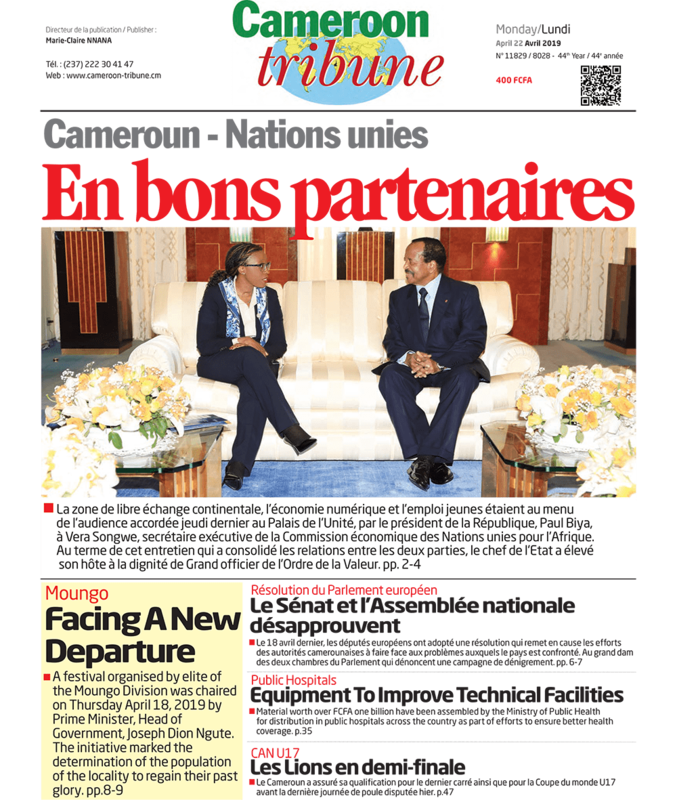 The arrival of President Biya accompanied by his wife, Chantal at the Banquet Hall at exactly 7PM, gave the ceremony another colour. Within 15 minutes of their stay in and out of the hall, the Presidential couple greeted and chatted briefly with invited guests with all smiles flowing on their faces. Guest list included: heads of principal State organs such as the Senate, National Assembly, the ECOSOC, Supreme Court, just like there were members of government, heads of government agencies and para-statals, senior civil servants as well as men and women of the business World. The reception ended at 8:30 PM.